Your single source for high performance custom gauges! We manufacture custom speedometers, tachometers, boost gauges temperature gauges, pressure gauges, hot rod gauges, and Cobra gauges for all automotive, marine, OEM, and power sports applications. 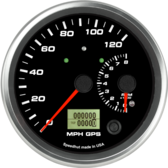 We proudly manufacture all of our gauges in the USA. If you have a unique gauge requirement please contact us. We specialize in gauge manufacturing and hope to be able to service your needs. Our gauges are guaranteed by a lifetime warranty. Just a big thanks to you and all involved at Speedhut to get the gauges to us. The gauges got here brilliantly packaged and in record time, even got a complimentary T-shirt. The gauges looks absolutely stunning and we can't wait to get them in the car. Thanks again to all and especially to you for your efforts in getting the address right. Here is a post from the River City YouTube channel that features some Speedhut gauges. They look awesome in the truck, and there is a quick demonstration of how simple it is to program a fuel level gauge too!